Tween Tuesday is a weekly meme hosted right here at GreenBeanTeenQueen to highlight great reads for tweens. 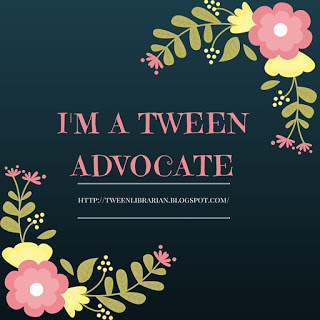 Add your Tween Tuesday post below! About the Book: Emily Snow's parents have disappeared and for the past two years she has been in charge of her younger brother and making sure they survive. One morning, Emily encounters a conversation between strange beings and realizes she can see a entire hidden world in London, full of faeries. A war is raging between faeries. As Emily's brother is kidnapped, Emily must do everything she can to save him. But what side is good? What side will not destroy humankind? Emily must find the key to save her brother and help save London before faeries take over. GreenBeanTeenQueen Says: This is quite the twisty mystery/fantasy for middle grade readers. The book starts out much like your usual fantasy novel, but soon the story starts to take many twists and turns. Who is good? Who can Emily trust? And which path is the correct one? The entire book is like one giant riddle which is sure to keep readers engaged. I will admit that I grew a bit tired of the "can I trust this person/what side is right" as it kept going. Just when you think you have it figured out, it changes, so it keeps readers on their toes, that's for sure! I also wish that many of the supporting characters had been fleshed out a bit more. As Emily's brother was kidnapped, I knew I was supposed to care, but I didn't really know much about him, other than he was Emily's brother, to be upset that he was missing. I do really love the piskie Corrigan and he was my favorite character. Scenes with him always provided a good laugh and he was one of the few characters we get to really know. There were so many great characters that we were introduced to, but we only see them for a small portion of the book. I hope that since this is the start to a series, we see more of them as the series progresses. I picked this one up originally because Mr. GreenBeanSexyMan told me about a review that mentioned The Invisible Order had the makings to be the next Harry Potter. While I don't think it's quite there, it could grow and become a great series that keeps you guessing. I do think it would be great for Harry Potter fans looking for another series to get into, but I'm not sure how much older reader appeal there is. It's obviously a series, and while many things are wrapped up in this book, there is a cliffhanger ending and many things are left wide open. Book two will be out in September, so if you do get readers started on this series, they'll have a bit of a wait between installments. But that's part of the fun, right? I'm a little disappointed to see that we don't have this. But I'll add it to my list anyway. Thanks for sharing! 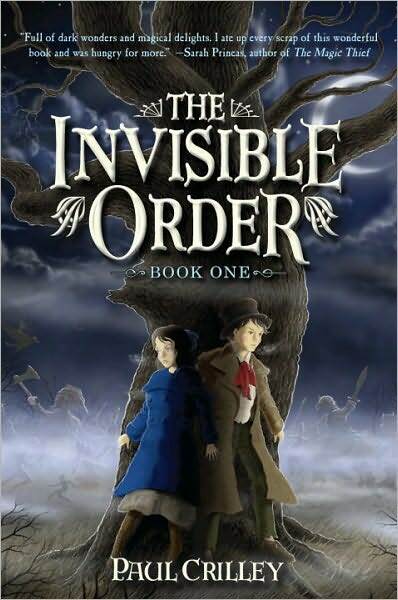 The Invisible Order sounds like something my library tweens would just eat right up! I'll have to recommend it next time I'm working on the children's desk. There's this one kid who's read THE ENTIRE LIBRARY, but maybe he hasn't read this one yet- it would be right up his alley, so I'm glad to know about it! Thanks for the review. Too bad it's not up to Harry Potter standards. I'd love a book like that. I hadn't heard of this one. Thanks for sharing it. I'll have to keep it in mind.